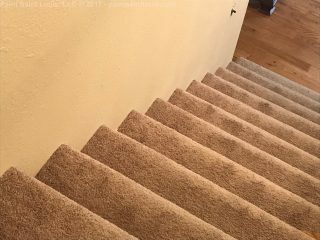 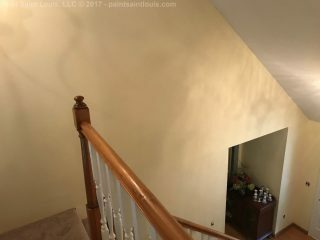 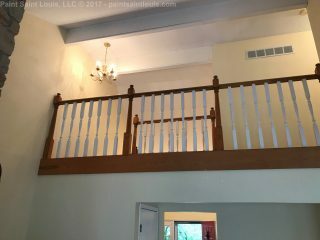 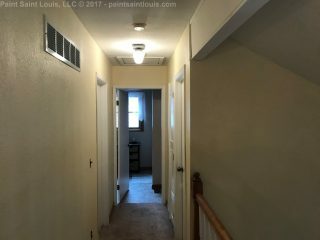 This was a walls/ceiling repaint. 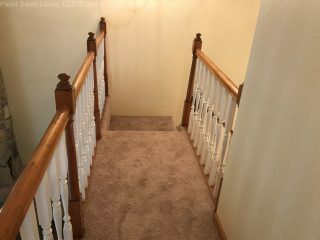 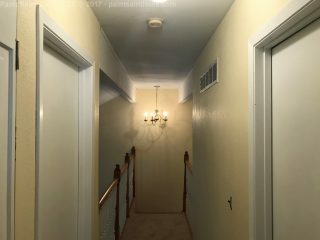 Included front entry, stairwell and vaulted two story hearth room. 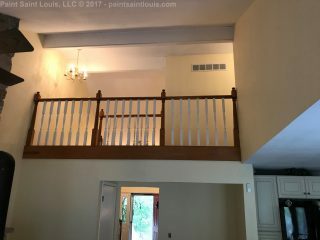 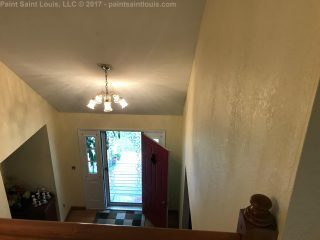 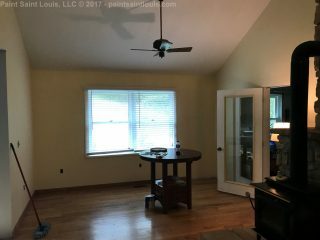 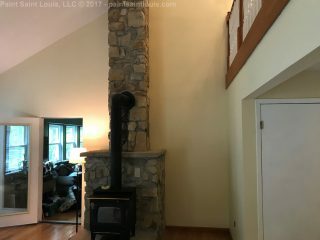 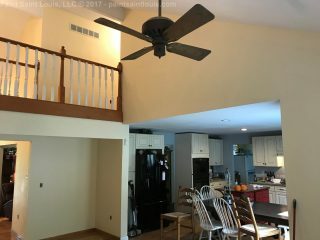 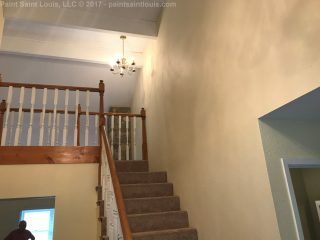 For ceilings we used Brod-Dugan Suburban ceiling paint (a Sherwin product) and for the walls we used Sherwin’s SuperPaint in velvet sheen and the color SW7683 which is named ‘Buff’ to lighten up this otherwise fairly dark area.